Your home away from home! Situated within the popular Mangawhai Heads in close proximity to the estuary and shops and restaurant, this holiday let is located at the end of a quiet cul-de-sac, offering a peaceful stay. The property is ideal for families and extended families, as well as couples and groups. Whether a quiet escape is desired or a fun-filled family time, Quails Nest, will not disappoint. 32inch high definition television, chrome cast ready. Wifi available. a variety of board games for family fun! High chair, portable cot and push-chair all available, if required. Quiet location. Spacious property. Off-street parking. Close proximity to amenities. Host on site. B-b-q available. Comfortable home away from home accommodation, suitable for couples, family groups and friends. Quiet location. Walking distance to Mangawhai Adventure Zone, Mangawhai Museum, golf course, The Heads shops and restaurant and estuary. Surf beach (10-minute drive). 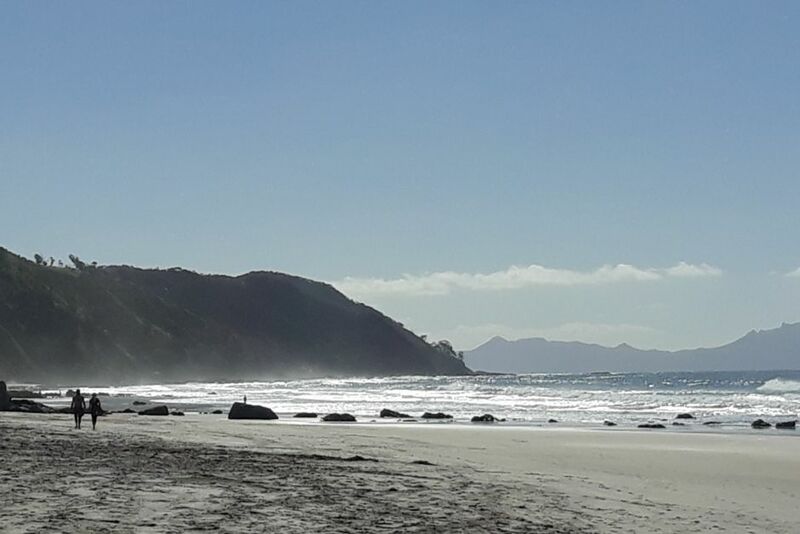 Enjoy the many stunning walks within the Mangawhai area. Lovely unit great host. Thanks Lorraine. Lorraine was very friendly and helpful. Immaculately clean space with all the necessary conveniences. Lots pf parking on site, good security. A wonderful French cafe/restaurant nearby called the Frog and Kiwi. The double bunk bed was uncomfortable and lumpy. From the listing photos we expected a sea view of the heads. Unfortunately this property is in the suburbs and a 5-10 minute drive to the beach, depending on which beach you go to. So sadly no views. We felt a little misled. Our suggestion to the host would be to either remove the sea view images or make it very clear that the property is not actually near the beach. Thank you for the positive comments. With regard to the proximity to the beach(es), the written description of the property does state 'surf beach 10-minute drive', thus making it clear that the beach is not actually near the beach. The reason the photo is included is to show prospective guests who are unaware of Mangawhai attractions, what is available. Rather than take the photo down, my suggestion is that people read the entire description when deciding what suits their needs. Lorraine was a lovely host, the location was very quiet and close to mangawhai and mangawhai heads beach. We had a group of 5 and the host allowed us to stay in both the accommodation area plus the small sleep out at the back which worked really well for us! Tidy, close to The Club which suited us. Friendly owner. Local well-renowned chocolate factory. Popular golf course. Many local artists. Superb walks. Established wineries.